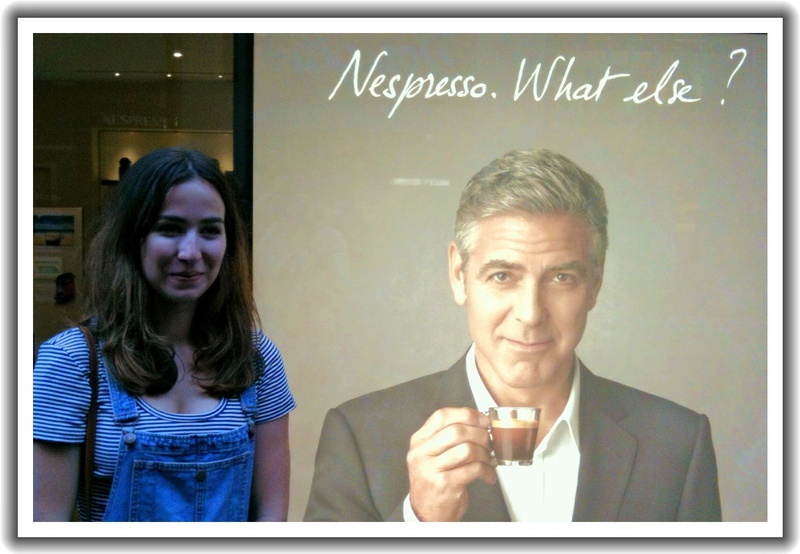 Chloe* was excited to go to the Nespresso shop in Nantes today, a place that has a coffee bar. She and Melinda enjoyed this. Ella & I sat outside in the rain and waited for them to finish. FYI, in the French commercial embedded below, George Clooney and Matt Damon are inside a Nespresso shop in France.